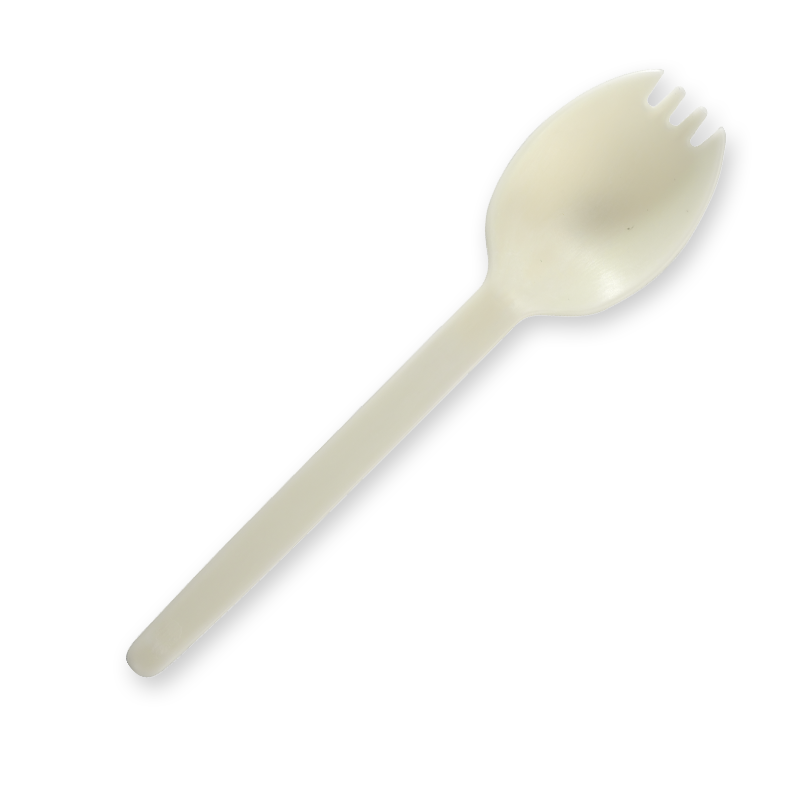 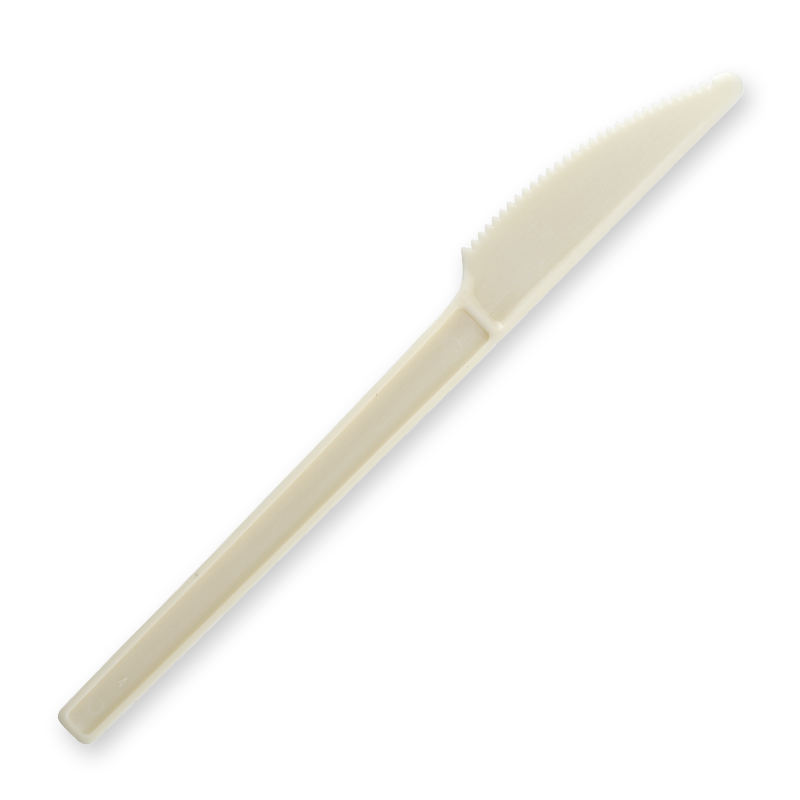 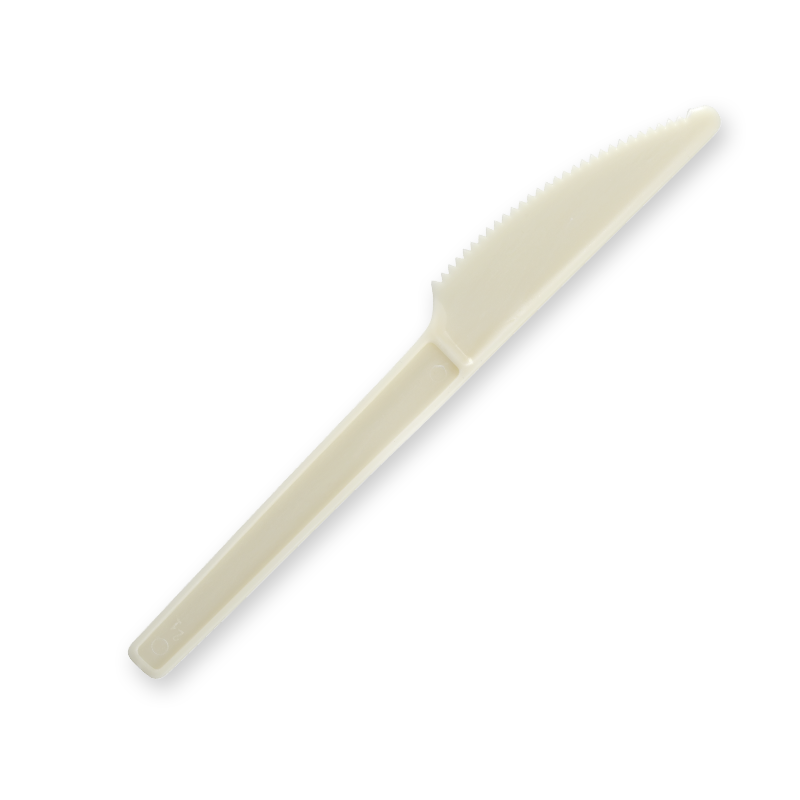 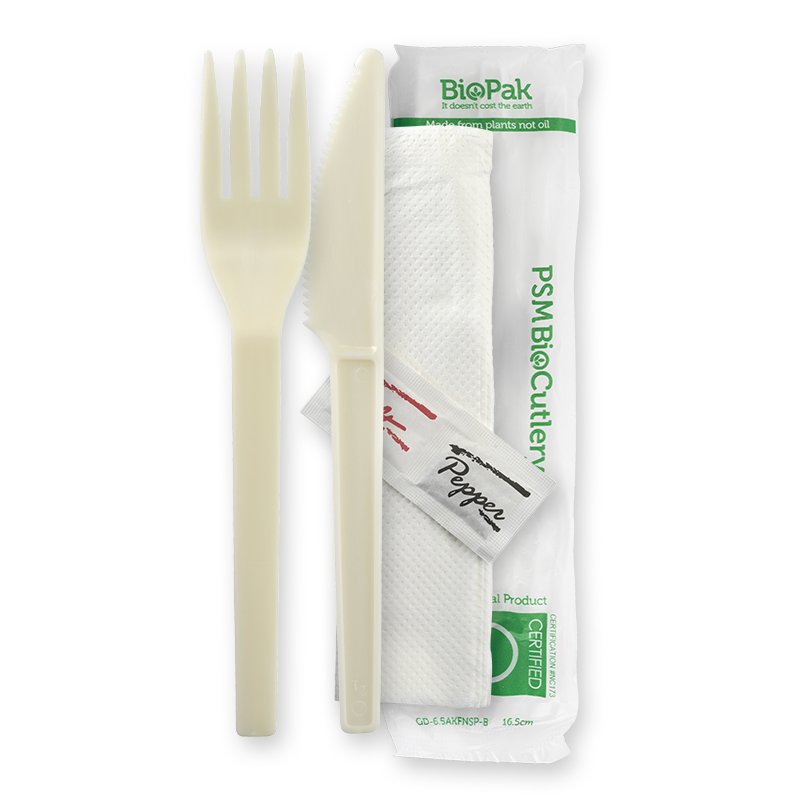 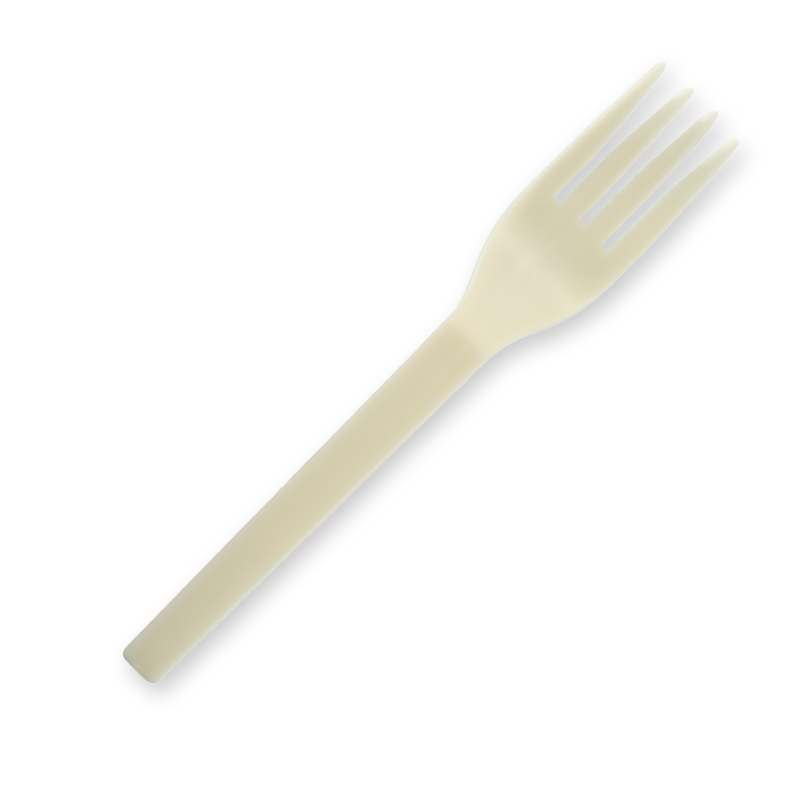 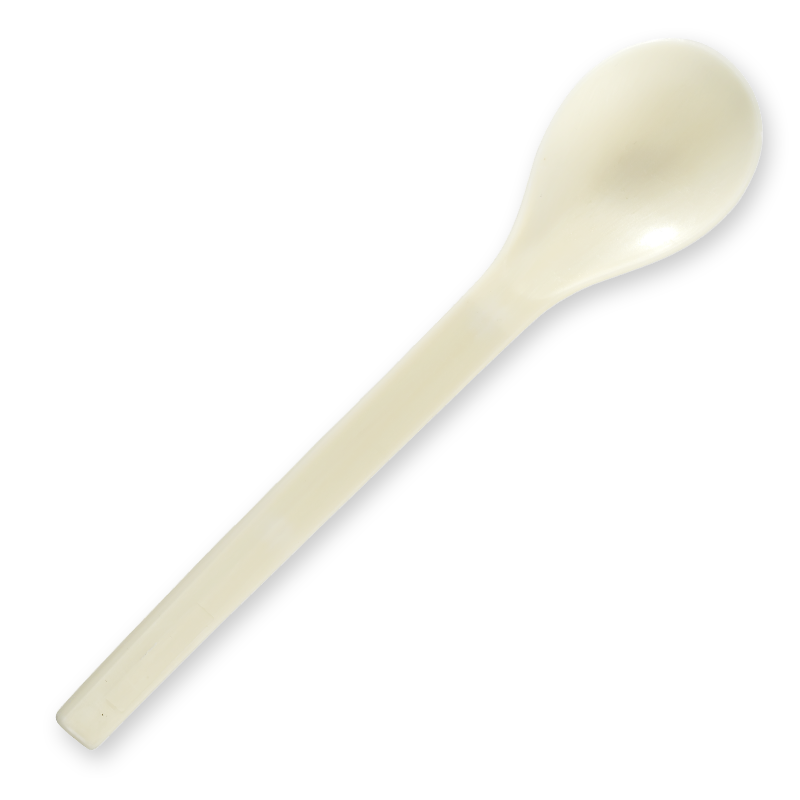 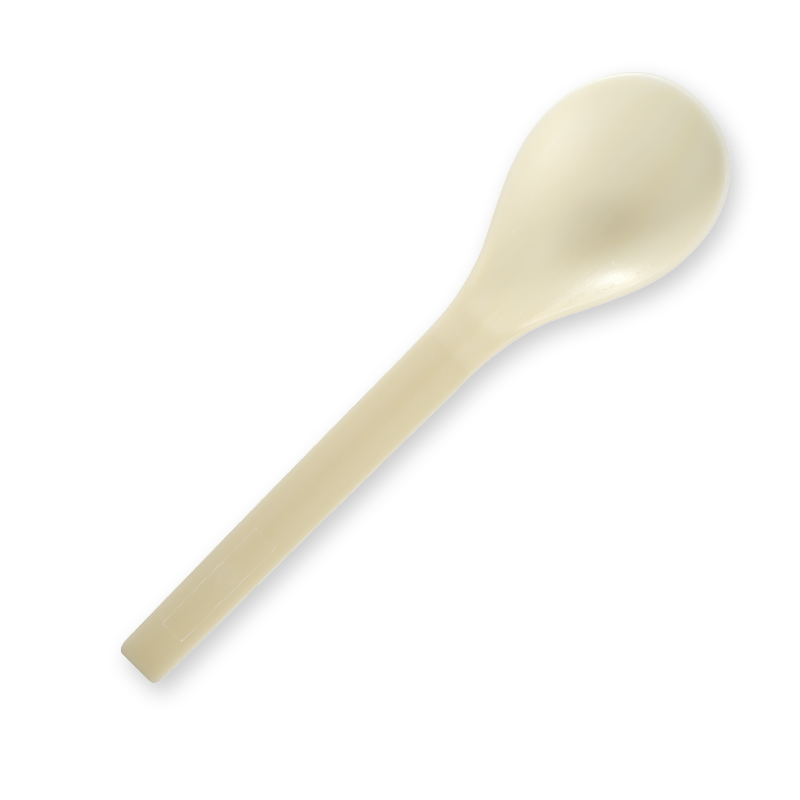 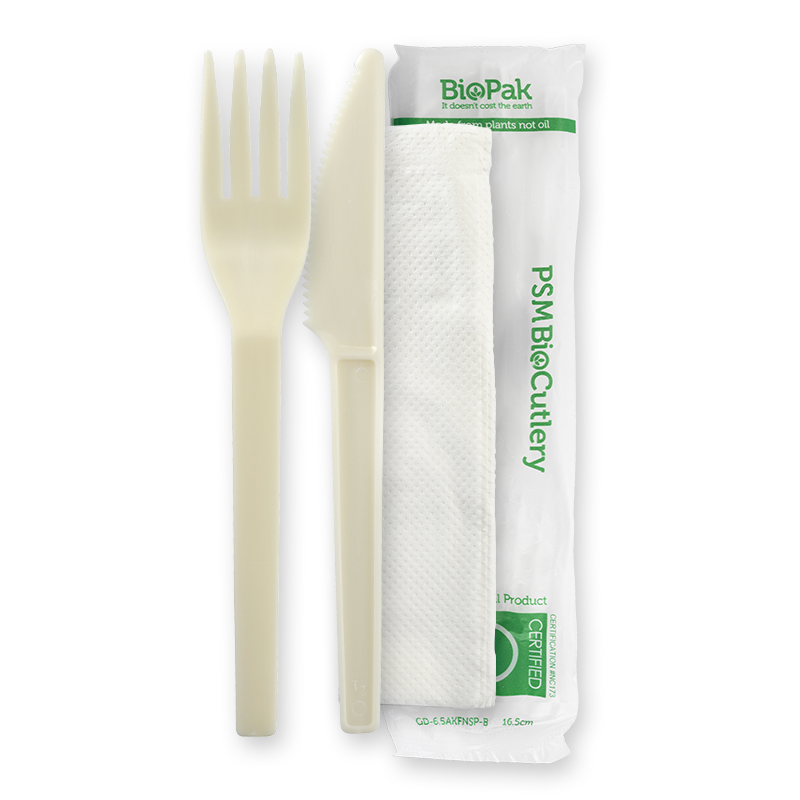 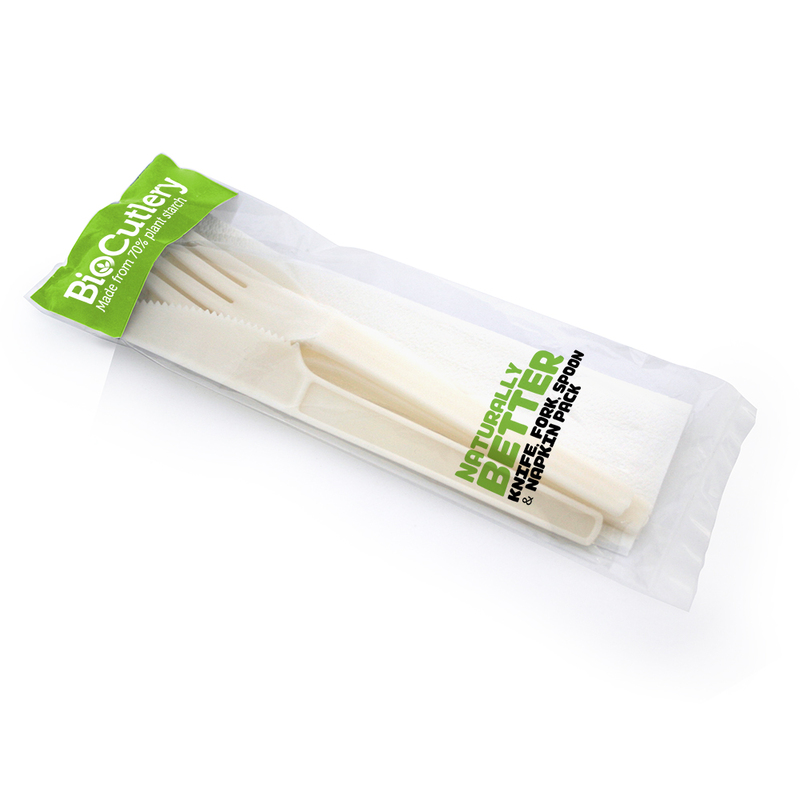 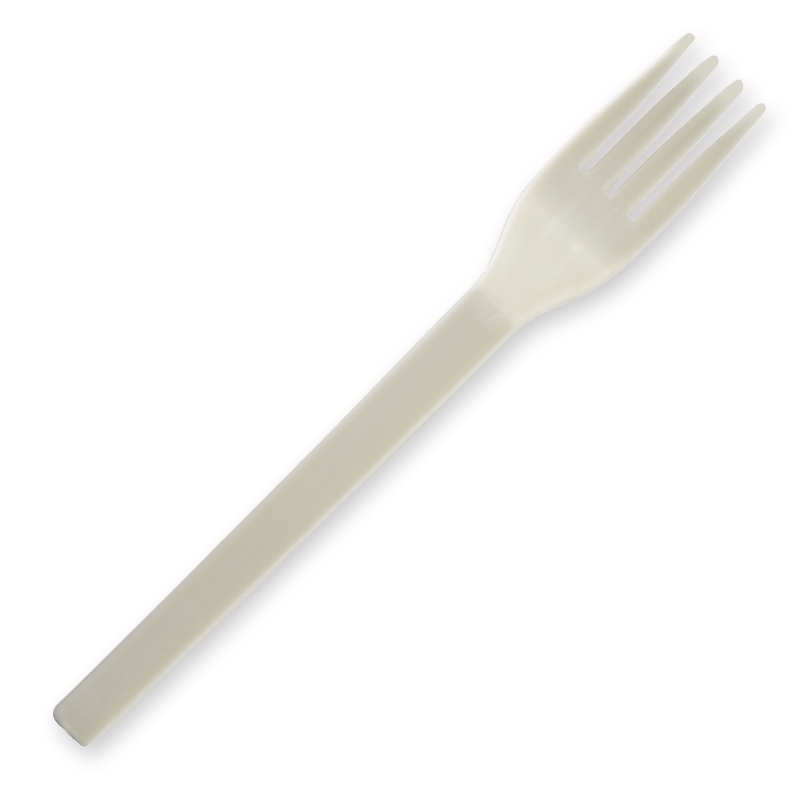 Our PSM cutlery is made from 70% plant start and 30% polypropylene. 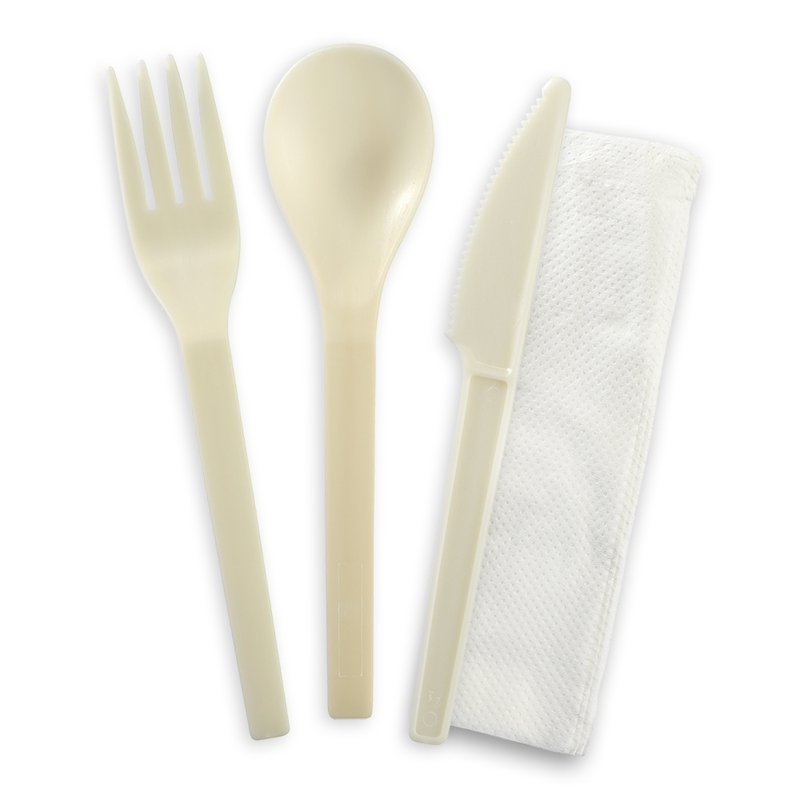 All our cultery has a smaller carbon footprint than conventional plastic. 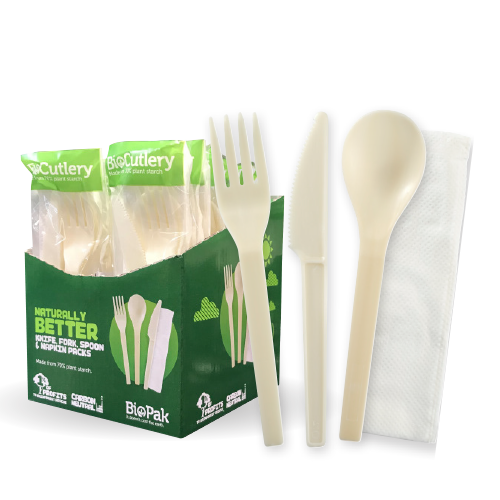 Each retail box contains 20 sets of cutlery, and there are 10 retail boxes in a carton.